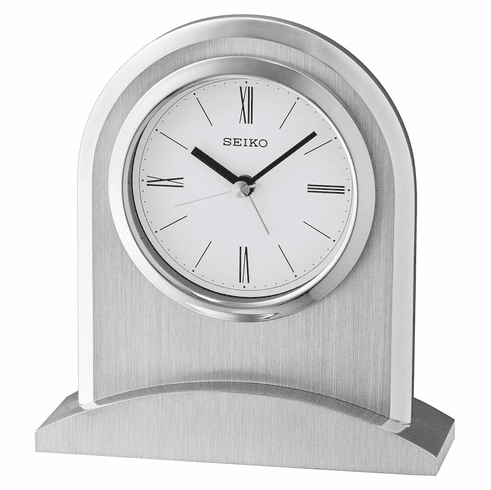 This table alarm clock features a silver tone aluminum case, and beep alarm. Requires 1 "AA" battery (included). Dimensions: H: 5", W: 4.75", D: 1.75"